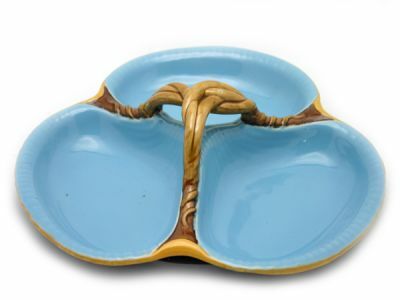 Lovely Minton serving dish, circa 1870. Three potions are painted a saturated blue while the bottom and the rope-like handle is brown. This is a stunning period piece.